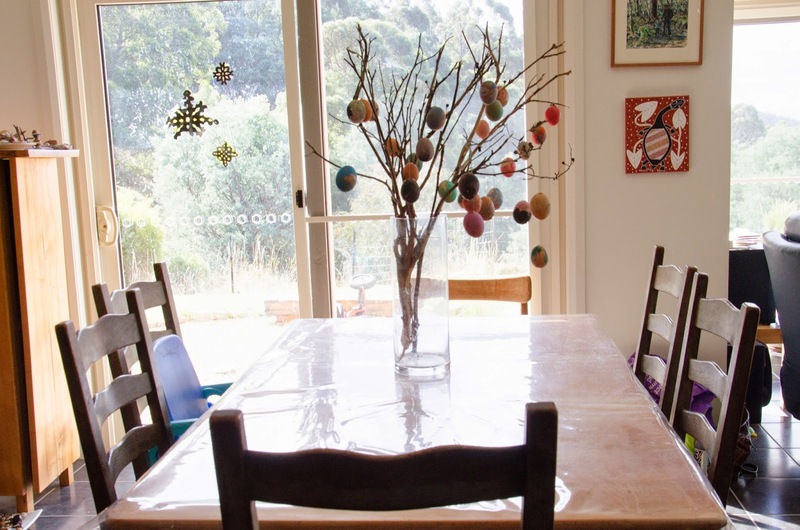 A (mostly) visual tutorial for making an Easter Tree for your table centrepiece. 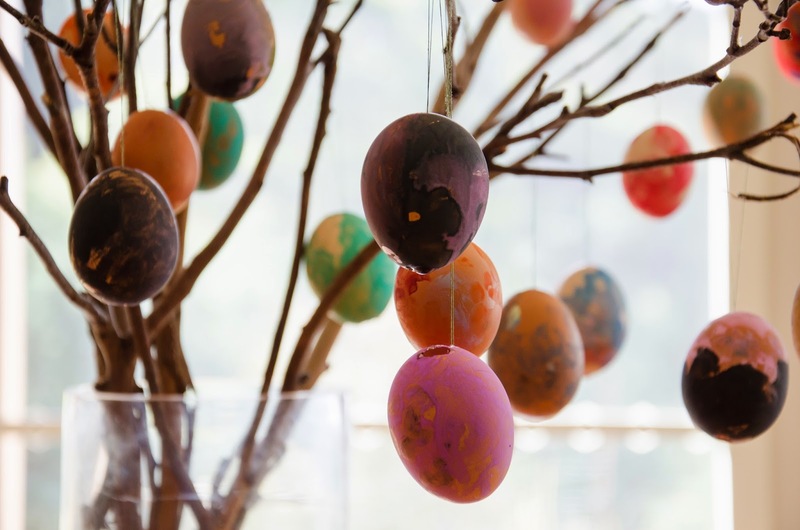 The German tradition of Ostereierbaum (or Easter egg tree) is centuries old, but its origins have been lost. Eggs are hung on branches of outdoor trees and bushes and on cut branches inside, at Easter time. The custom is found mostly in Germany, Austria and some Scandinavian countries, but is also found in other places such as Ukraine, Poland, Czech Republic, Hungary, and the Pennsylvania Dutch region of the United States. Choose light coloured eggs if possible. Brown eggs will work too but the watercolours are more effective on light coloured eggs. 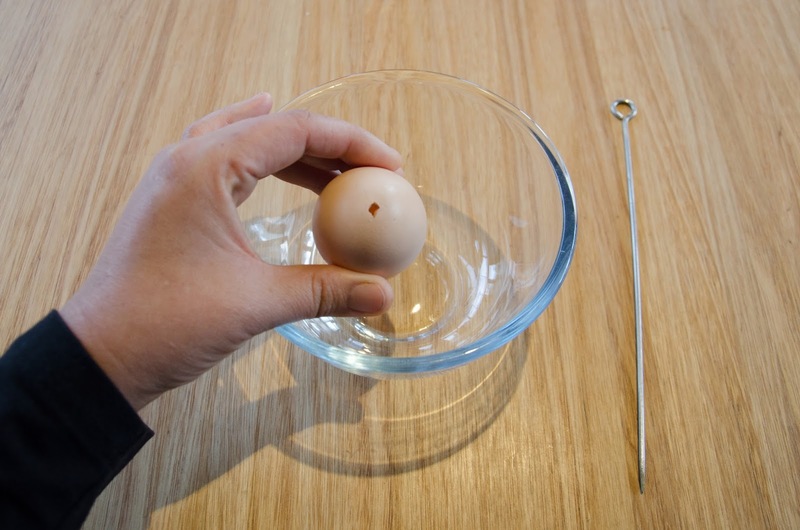 Using a metal skewer (or sharp pointed object) tap a small hole in one end of the egg. Tap another, larger hole in the other end of the egg. 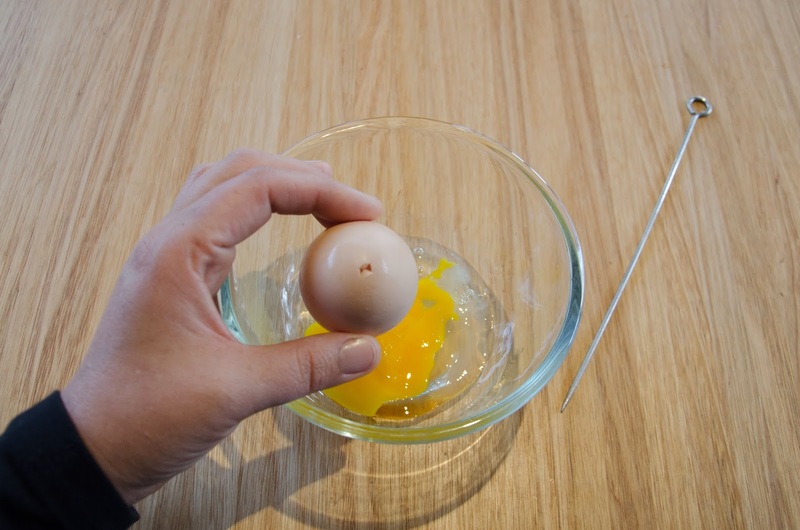 Then wiping the surface clean, blow though the small hole so that the yolk and white are blown through the larger hole into a bowl. 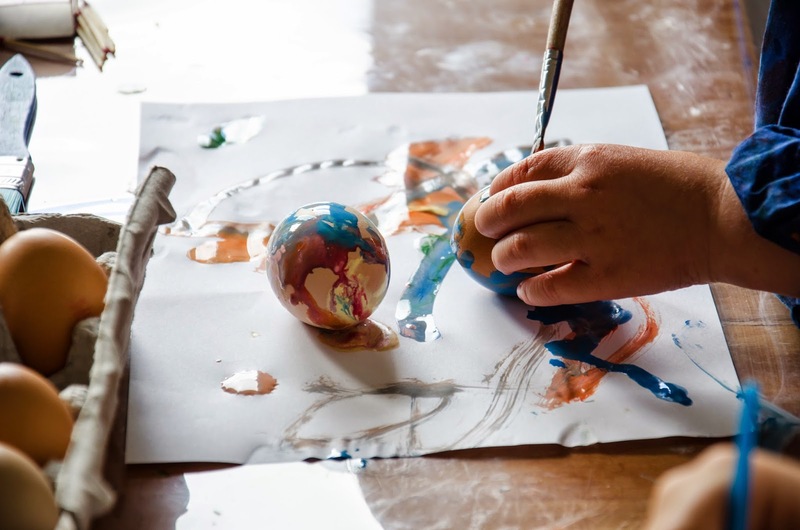 Once the eggs have dried, have children paint the eggs with water colour paints, not too diluted. 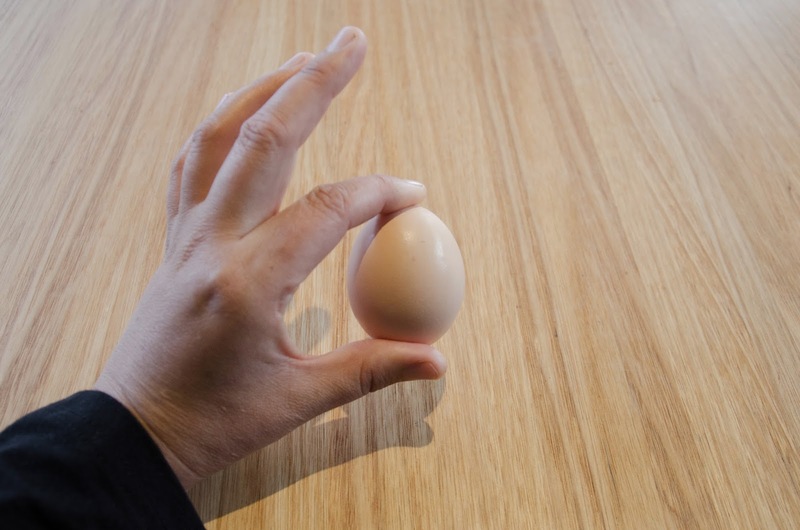 This is a good activity for gentle fingers as the eggs are fragile. 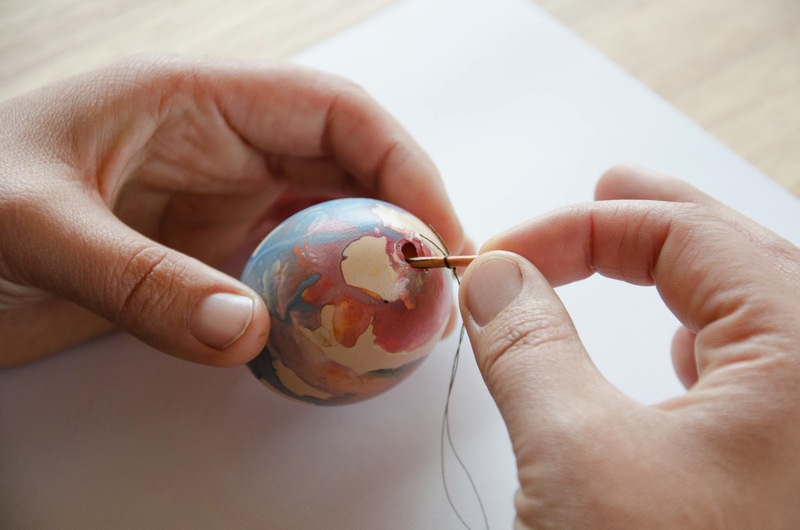 While the watercolour paint is drying, tie string onto an old matchstick or small twig. 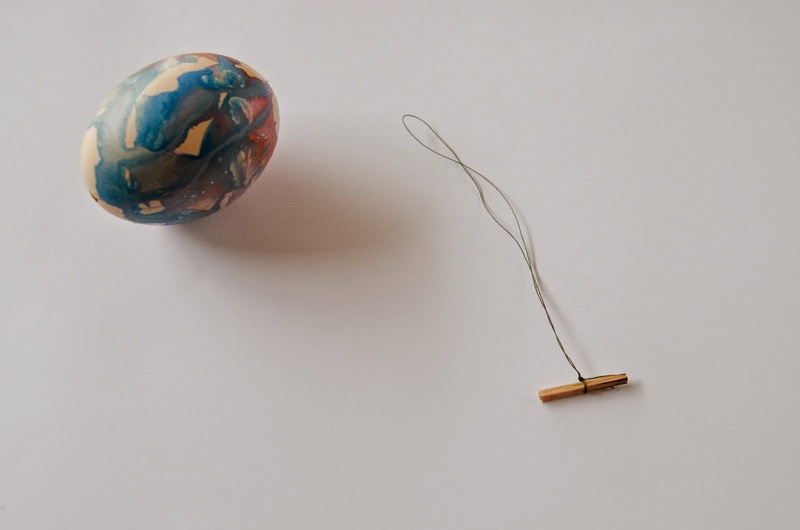 Place the stick/twig into the egg, keeping hold of the string so you don’t lose the end. 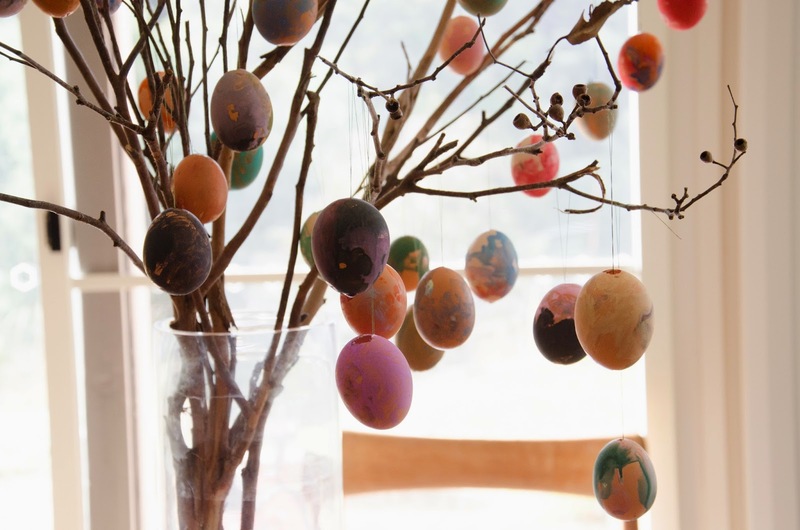 Hang your painted eggs onto twigs in a vase, as a beautiful table centrepiece or addition to your seasonal table. Eggs can be left as is or oiled to bring the colours out.